One unavoidable delay for any author of a non-fiction book comes between the end of the writing/editing process and publication. During this period of limbo, there is always a chance that something significant relating to the subject of the book will be published elsewhere – an item of key relevance that appears too late to cite in the bibliography. It can be particularly frustrating when the item in question is nothing less than a major contribution to scholarship. In my own case, this very situation arose last month when an article called ‘The Emergence and Transformation of Medieval Cumbria’ appeared in The Scottish Historical Review. The article was written by Fiona Edmonds of the Department of Anglo-Saxon, Norse and Celtic at the University of Cambridge. I haven’t met Dr Edmonds in person but I’ve been reading her publications for several years and, earlier this year, we both appeared in separate sequences of Rory Stewart’s Border Country series on BBC2. 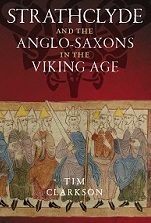 Two of Dr Edmonds’ publications are cited in Strathclyde and the Anglo-Saxons in the Viking Age and the one in the latest issue of SHR would certainly have joined them if timescales and publishing schedules had allowed. On the plus side, after reading the article, I was much encouraged to note that Dr Edmonds’ main point about the meaning of the term ‘Cumbria’ in tenth- and eleventh-century contexts supports the position I adopt in my book. The gist of her argument is summarised in the abstract pasted below. Needless to say, her 22-page discussion goes into far more detail than I was able to do in my introductory chapter (which deals with chronology, terminology and sources). Indeed, I highly recommend her article as essential reading for anyone who has an interest in the origins of Cumbria (the present-day county) or in the creation of the Anglo-Scottish Border. 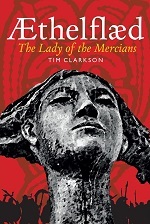 With this contribution she effectively removes any lingering doubt that tenth-century ‘Cumbria’ and the newly expanded realm of the kings of Strathclyde were one and the same. The process by which these kings added large swathes of erstwhile English territory to their Clydesdale heartlands will be examined in another article, also by Dr Edmonds, in a forthcoming issue of Early Medieval Europe. Fiona Edmonds, ‘The Emergence and Transformation of Medieval Cumbria’ Scottish Historical Review vol.93 (2), October 2014, 195-216. This entry was posted in Research and tagged Cumbria, Strathclyde on November 27, 2014 by Tim. What does this add to P.A. Wilson’s TCWAAS work? I thought this was all settled back in the sixties. Wilson’s landmark paper should really have put the whole thing to bed, but the old ideas of Fordun & Co refused to go away, even receiving a boost in the 1990s with Land of the Cumbrians by Phythian-Adams. It will be interesting to see what counter-arguments, if any, get raised against the Edmonds article. I was worried about this when writing a book on viruses (God! 25 years ago!). The publisher said, “Don’t worry, it happens all the time. It just means you have chosen a good subject.”. That sounds reassuring. The chance of something new being published must be even greater in bioscience – with the added danger of one’s work being rendered totally obsolete by actual hard data (as opposed to merely being challenged by another historian’s interpretation of some old chronicle)..